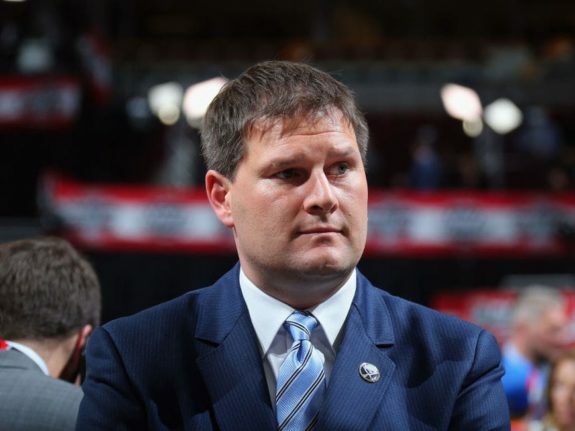 Ever since Buffalo Sabres’ general manager, Jason Botterill expressed a desire to shake up the current core at his end-of-the-season press conference, speculation has run rampant as to which players might be available, and at what cost. This type of conjecture tends to ramp up towards the NHL draft, as teams re-assess their organizational depth, but Botterill’s words added a certain level of intrigue. For the Sabres, a team that fell short of fan expectations last season, it seems that anyone not named Jack Eichel or Casey Mittelstadt is fair game in these discussions. Still, there is a lot of smoke surrounding three players in particular. Let’s take a look at who they are, and what the Sabres can expect to receive in return for their services. 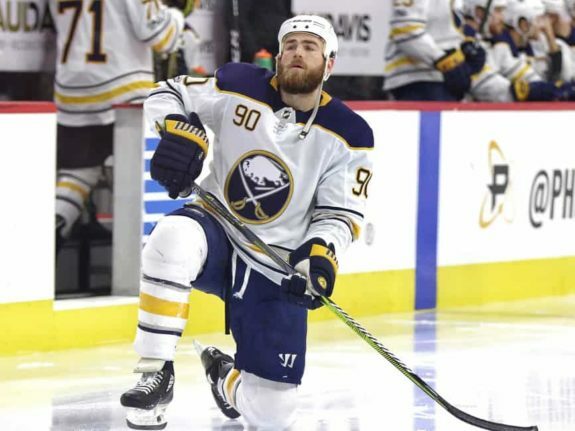 Easily the most talked about player, Ryan O’Reilly (once thought of as a future captain after he was acquired from the Colorado Avalanche leading up to the 2015 Entry Draft), has lost favor with a healthy portion of the fan base. Before the 2017-18 season came to a merciful conclusion in Buffalo, a fierce debate had already begun regarding his production compared to the $7.5 million cap hit he carries through 2022-23. On a team that had their collective effort questioned on a regular basis from by fans and head coach Phil Housley, perhaps he should have chosen his words more carefully. As a perceived member of the team’s leadership core, O’Reilly’s statement led to widespread concern about his ability to help change the culture in the Sabres’ dressing room. During a radio interview on Vancouver’s TSN 1040 last week, Darren Dreger shared his thoughts about what the Sabres could command in return for the 27-year-old center. Even more interesting than the king’s ransom he feels Botterill expects to receive, was his belief that a trade was “more likely now than not.” Which teams could use a player like O’Reilly, and are they willing to part with enough capital to entice the Sabres to make a deal? “We’ve talked about Buffalo trading Ryan O’Reilly, Carolina has interest,” McKenzie said. He then went on to say that Buffalo could target a player like Jeff Skinner as part of the return on a deal. The Sabres need help on the wing, particularly on the left side where they are completely devoid of talent. Skinner’s speed and goal-scoring ability would make him an excellent fit in the Predators’-style system that Housley intends to implement. Though he has a concerning concussion history, the 26-year-old has only missed eight games over his past four seasons in Carolina. Of course, the Hurricanes would have to sweeten the pot a little. 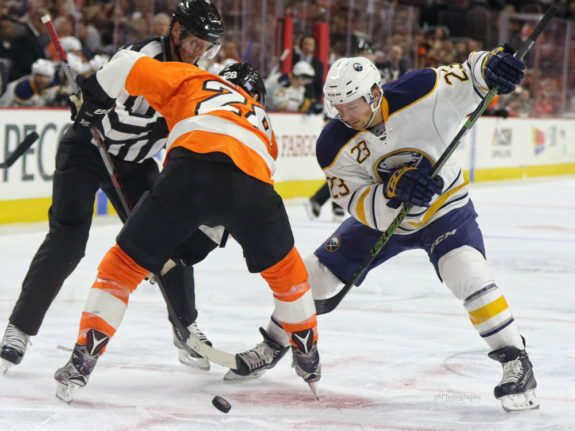 For a team like the Sabres who will look to bolster their prospect depth, including someone like Warren Foegele or Jake Bean might just be enough to get a deal done. Another name that’s been floated out there is Noah Hanifin. If the Hurricanes are interested in dealing the 21-year-old blueliner (and Eichel’s buddy), it may help reduce the overall cost. It remains to be seen if the price tag would increase should the Sabres elect to negotiate a trade within their division. The Canadiens don’t have a whole lot of talent on the farm, and their current roster isn’t much better. If Botterill is open to a deal with them, expect one of Alex Galchenyuk or Jonathan Drouin to come back as part of the deal. Related: Ryan O’Reilly: Sabres Problem or Solution? 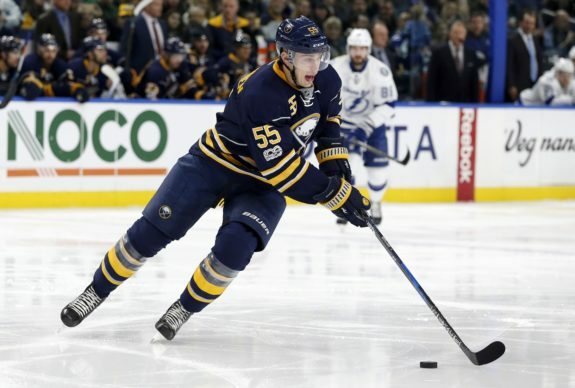 With Rasmus Dahlin joining the fold in the coming weeks, trade prognosticators have inexplicably shifted their focus toward Rasmus Ristolainen. After three straight seasons of landing in the top-five in the NHL in ice time, some fans have soured on the 23-year-old. There have been moments of lackluster play in his own zone, but after being run into the pavement as the only reliable defenseman on the roster, it’s tough to put the entire blame on him. With Dahlin coming aboard, it should take some of the weight off of Ristolainen’s shoulders. With reduced minutes, his production should see a considerable spike. Given their lack of depth on defense, the Sabres would be foolish to deal him at this point, especially considering his team-friendly cap hit of $5.4 million through 2021-22. Fortunately, according to Pierre LeBrun, the organization isn’t exploring a deal involving him, but there has been a great deal of interest around the league. Even with all of the perceived interest in the Finnish workhouse, the only feasible outcome where Ristolainen isn’t a Sabre next season is if there is a desperate trade partner who is willing to vastly overpay. One team that comes to mind is the Vancouver Canucks. The Canucks have an extremely impressive prospect pool. According to TSN, they hold the rights to four of the top-31 prospects in the league. Players like Elias Pettersson and Olli Juolevi are likely off the table but if the Canucks package their seventh overall selection in this year’s draft along with someone like Kole Lind or Jonathan Dahlén, Botterill may be inclined to listen, but it would likely take even more than that. The Canadiens could be interested as well, given the fact that their defensive corps is one of the worst in the NHL, but again, they would need to be willing to part with a first-round pick, a top prospect, and an NHL ready player at minimum. Another idea that made its rounds on social media last week was a one-for-one swap with the Edmonton Oilers for defenseman Oscar Klefbom, but that would seem like a lateral move for both sides. While Ristolainen is more productive offensively, Klefbom is more reliable in his own end. This trade also represents a problem in that Klefbom is a left-handed shot, and Ristolainen is a righty. The Sabres need more right-handed shot defensemen, not fewer. Given the Jekyll and Hyde season Sam Reinhart experienced in 2017-18, it comes as no surprise that fan opinion is all over the map. Following a terrible first half of the year, the 22-year-old exploded in the second half, scoring 37 points in 38 games. 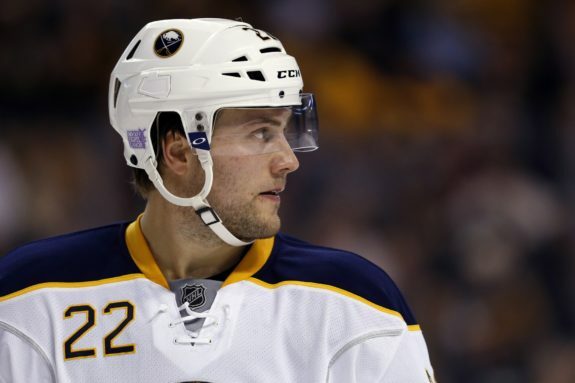 On July 1, he is slated to become a restricted free agent, though, according to Botterill, the team will be meeting with Reinhart’s agent in the coming weeks. It will be interesting to see what type of deal the Sabres offer. On one hand, they could attempt a bridge contract if they believe that his performance in the second half of the year was an aberration. Should they feel that Reinhart’s best hockey is yet to come, then a cost-controlled long-term deal could be the more financially prudent course of action. The majority of fans would like to see Buffalo lock him down long-term, citing an ill-advised experiment last season that forced Reinhart to play center (where he wasn’t best suited) as the main reason why he struggled early on. If the two parties cannot reach an agreement, Botterill could try to shop Eichel’s wingman, but it seems more likely that a deal gets done at this point. One team that could pitch the Sabres an offer is the Oilers. With very little talent on the wing, they are in desperate need of someone who can keep up with Connor McDavid on the top line. Trading Reinhart to a team that needs someone to pair with a franchise center would be a little bizarre, especially considering the lack of skilled players to complement their own All-Star cast down the middle. With that in mind, expect him to wear blue-and-gold for at least a little while longer. As mentioned above, there are very few players on the roster that are safe from being traded, though some are more likely to be shipped out than others. It would not be surprising if Botterill did his best to find a reasonable return for players like Zemgus Girgensons, and Johan Larsson, both of whom would benefit from a change of scenery. On defense, the Nathan Beaulieu experiment failed miserably last season, so unless the team expects to have him contribute in Rochester, he could be included as part of a package deal. Unfortunately, there isn’t a GM in his right mind who would take Zach Bogosian’s inflated contract off the Sabres’ hands, that is unless Buffalo would be willing to part with draft capital as an incentive, which Botterill won’t be keen on doing. Rounding out the list is the ever-inconsistent Robin Lehner. It would come as a shock if the team retained the soon-to-be restricted free agent. All signs point to Linus Ullmark taking the reigns in net next season. Lehner’s rights will likely be dealt leading up to July 1.